Return to the article from which this figure is taken. Figure 2. 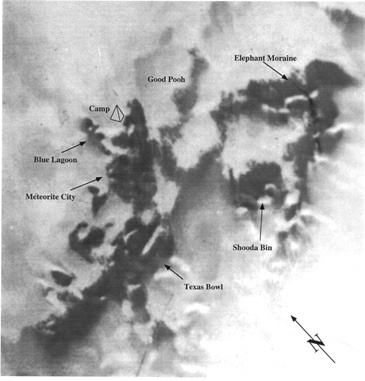 Elephant Moraine area, showing unoffical icefield names. Image is approximately 35 km across.